Its classic blue and black color combo impart a touch of solemnity and simplicity. 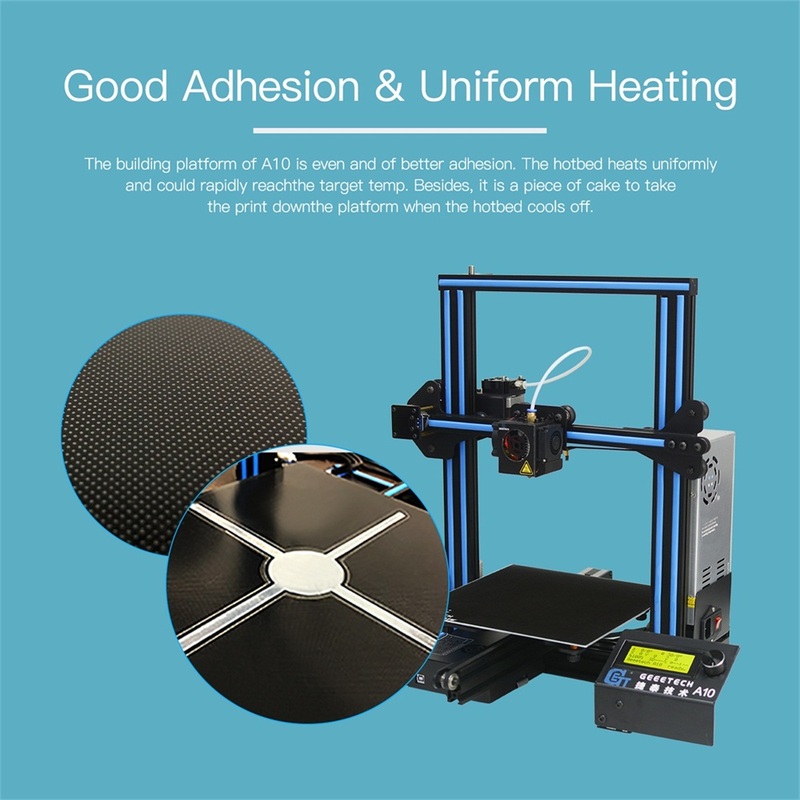 Better adhesion & durable. Take down your print is a piece of cake. No need of Masking tape and glue stick. The Break-resuming function provides A10 to save real-time printing status and resume the printing job exactly at the same place where it has been stopped. 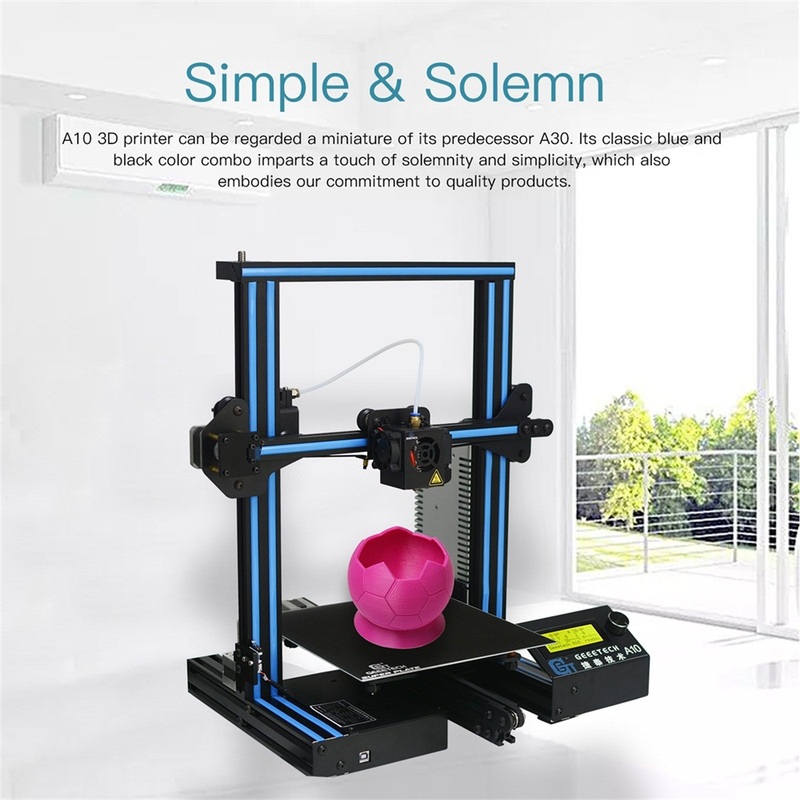 This function totally drives away the hassle of repetitive and time-time consuming printing jobs caused by unexpected power outage. 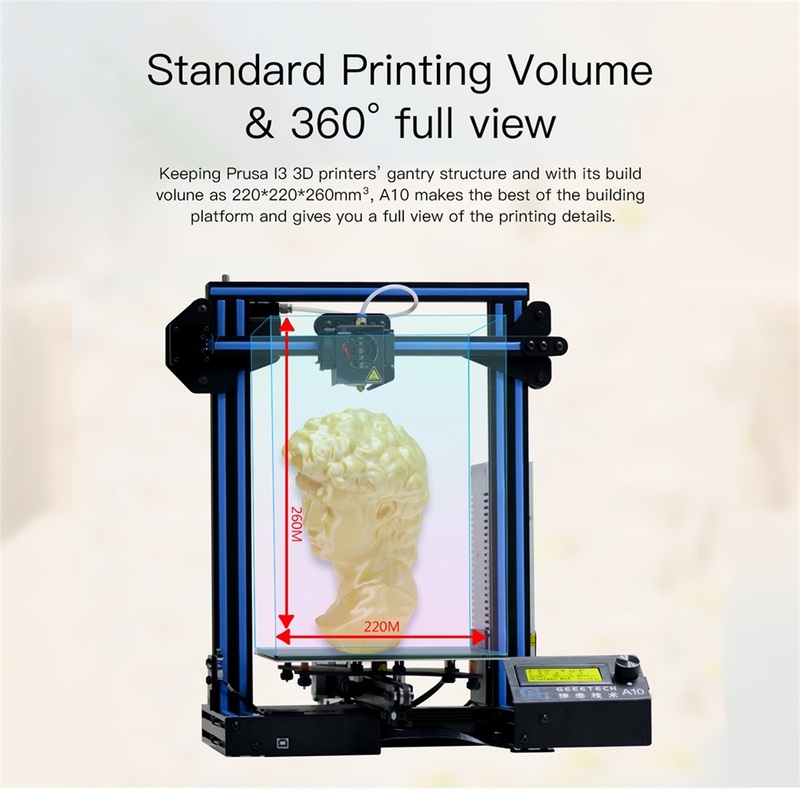 Totally get you out of worries about printing large-size 3D models. 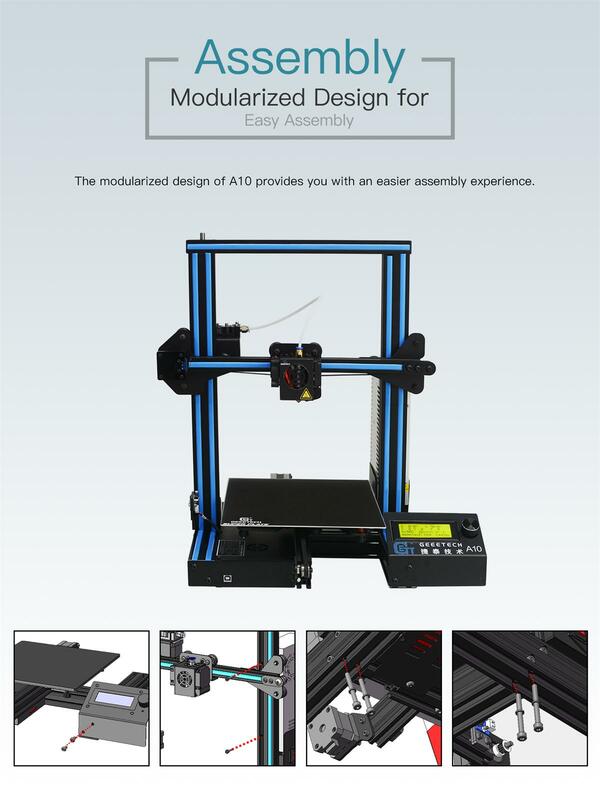 After the assembly the printer looks good, the touch sensor is helpful for the auto home. In my opinion the assembly instruction need more steps and detail. Need to add the instruction on how to connect the cable for the touch sensor. After upgrade the firmware in order to use the touch sensor and some fine tuning i was able to print the file was inside the sd card. 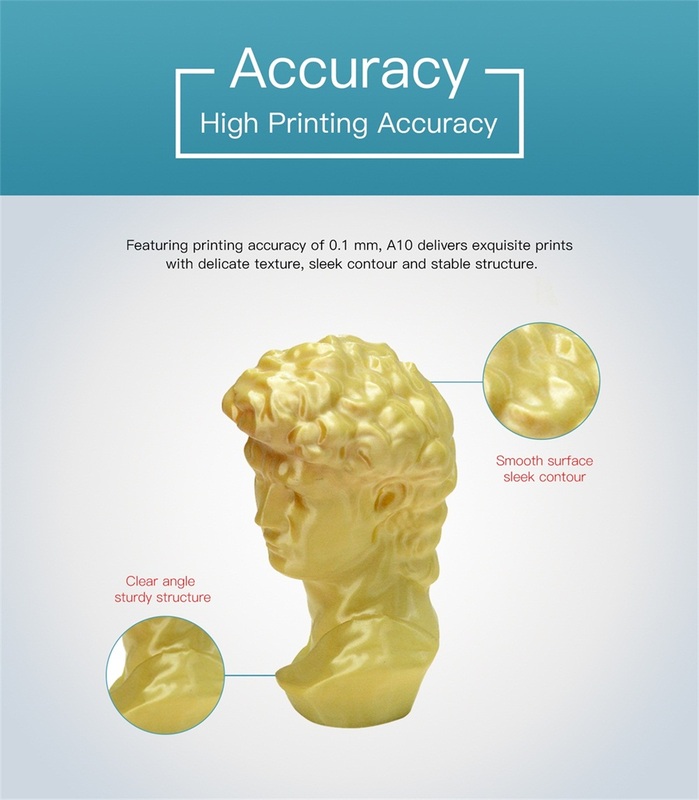 they should add more filament in order to finish the print fo the file they provide. Overall the printer is good and I am looking forward to get to know more about this new "hobby". 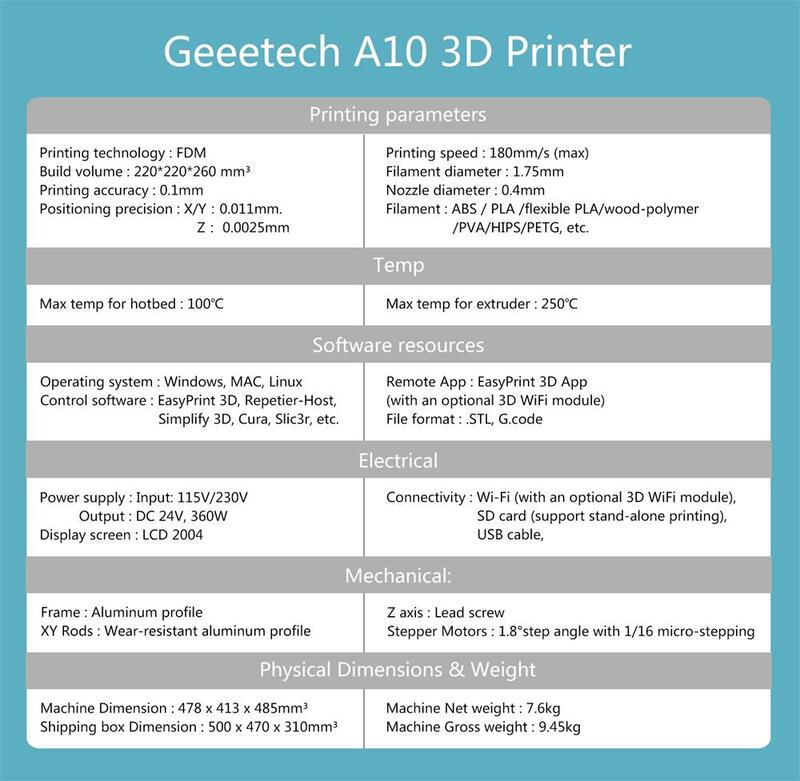 Geeetech A10 3D Printer Kit Gregor E.
I am new to this 3D addiction and I have just started with my A10. Great little machine. 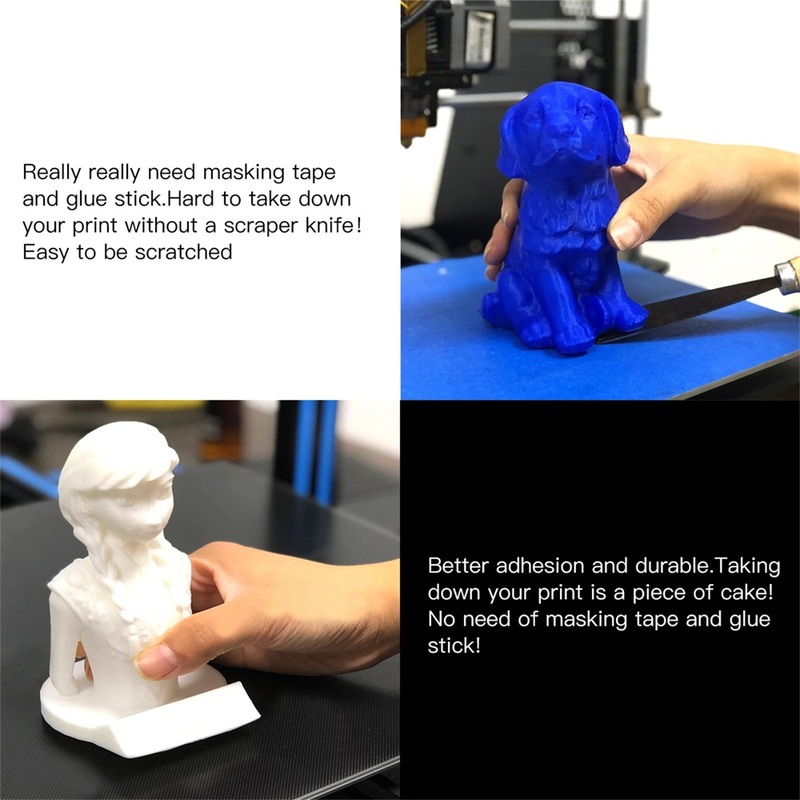 Get your new A10 and slicer set and you will get some great prints. 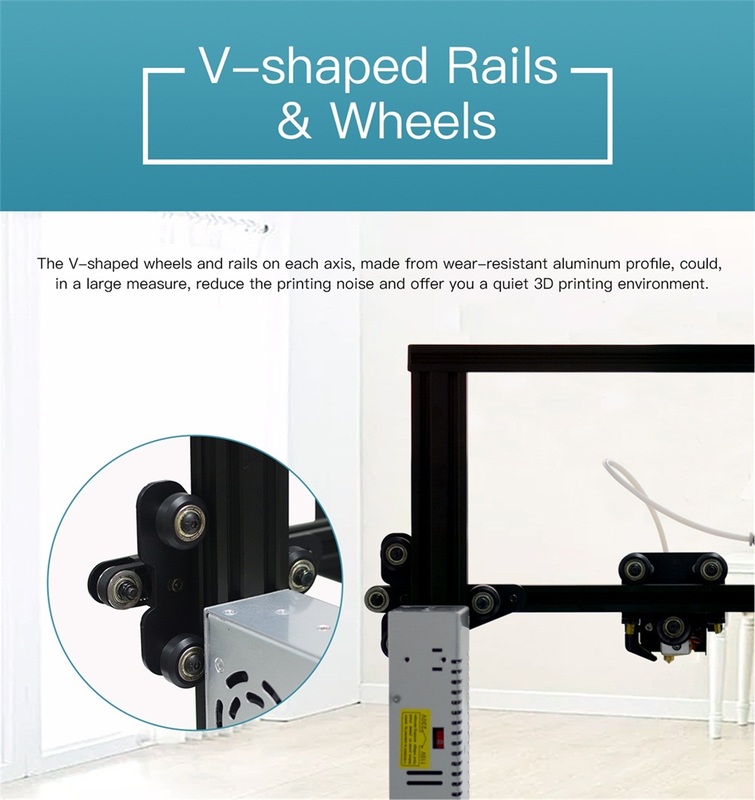 The machine is quiet and the prints a as smooth as you can get with this type of printer. Best value you would get on what you pay for! !